. . . ["Transcendental"] is mightily impressive. In La "Campanella" he unleashes a demonic right hand. In the so-called "Octave" Etude he shows real wit. I especially like two of the Concert Etudes where, in "La Leggierezza", he fully unleashes his formidable technique, while producing plenty of poetry in "Un Sospiro." ["Études d'exécution transcendante"]: As this collection of Liszt's studies shows, Trifonov is already an exceptionally thoughtful interpreter, with musicianship that more than matches his technical gifts. It would be easy for such a young pianist to use these pieces to showcase his own technique. But while there is never any doubting the brilliance of Trifonov's playing, that is only the starting point; the delicacy and transparency of his performances are often more striking than their moments of rampaging virtuosity . . . There's no empty rhetoric, even in those pieces, such as the fourth study, Mazeppa, and the climactic eighth, "Wilde Jagd", in which virtuosity is highlighted, while another of the great challenges, No 5, "Feux Follets", becomes an entrancing exploration of keyboard texture, in which the astonishing delicacy and evenness of Trifonov's playing almost gets taken for granted . . . [Grandes Études de Paganini]: there's wonderful subtlety and refinement alongside the brilliance in the performances; the colours Trifonov extracts from the piano in a piece such as the famous La Campanella, or the final Theme and Variations, based on Paganini's 24th solo-violin Caprice, are bewitching . . . This is a exceptional collection of performances.
. . . dazzling . . . Trifonov responds to the music's extreme technical demands with, seemingly, huge resources still in reserve. Sonically, he's able to astonish: the ultra-tricky "La Campanella" is delivered with a mesmerising blend of gorgeousness and needlepoint precision. His way with the "Transcendental Studies" is strikingly introspective and memorable.
. . . a triumph . . . After the opening salvo of the "Études d'exécution transcendante", Trifonov attacks the A minor study with tremendous ferocity . . . The demands of No 5 ("Feux follets") are met with imperious ease . . . and he rounds off the feather-light ending with a piece of delicious timing . . . [in No 9, "Ricordanza",] Trifonov shows he can do delirious ecstasy without crossing the line into vulgar exhibitionism, and can control on the turn of a sixpence the pace and dynamics of these highly charged and emotional works . . . This is unquestionably one of the great recorded performances of the "Transcendental Studies". The three sets of studies on CD2 are equally compelling, with Trifonov's eye for pointing up subtle details likely to appeal to Lisztian connoisseurs . . . [Trifonov delivers] what are, in effect, top-of-the-pile performances of almost all of the 23 separate titles . . . who also has the benefit of superior recorded sound . . . Trifonov's is the best kind of virtuoso playing, where one is hardly aware of the notes being played, allowing one to simply bask in the genius of Liszt's musical narrative and the transcendant execution of an awesomely gifted pianist.
. . . enthralling . . . [Trifonov] has the astonishing technique to dispatch these virtuoso display pieces with the bravura that made Liszt a superstar in his time, but he brings a poetic sensibility, making what he calls "existential meditations" of the more introspective studies . . . Trifonov leaves one open-mouthed at the Mendelssohnian wit and dexterity of "Gnomenreigen", and at the sheer playfulness of Liszt's homages to Paganini. A young player, yes, but already a master.
. . . Mr. Trifonov's set possesses a wonderful lightness of being. Lyrical works like "Il lamento", one of Liszt's most beautiful "Concert Études," are characterized by understated simplicity and tender feeling . . . his "Transcendental Études" are a wonder of seeming spontaneity and breathtaking ease. The uber-virtuosic "Mazeppa", with its churning bass rhythms and crossed-hand passages, builds to an almost joyful restatement of the "galloping horse" theme. The young pianist's mastery of quiet trills in the Chopinesque "Ricordanza" is impressive . . . he acquits himself very well in the final benediction of "Chasse Neige", conveying wistful longing in the quiet opening, subtle windswept turbulence in the quasi cadenza for the piano bass, and regret in the conclusion.
. . . [a] stunning new Liszt recital . . . he has technique to spare, even in the taxing repertoire he has selected for these CDs. His readings of Liszt's 12 "Transcendental Etudes" are galvanizing throughout. He throws off sparks aplenty in "Mazeppa", "Feux follets", and "Wilde Jagd", as one would expect, but perhaps even more impressive is how captivatingly beautiful the less barnstorming movements emerge under his hands, including an elegant take on "Ricordanza" that makes it sound like Chopin. His rhythmic sense has energy no matter what the tempo, and his touch, tone, and voicing never stop entrancing the ear. A selection of concert etudes occupies the second CD, including the famous set based on Paganini themes. The fast figuration is stunning and apparently effortless (he makes even "La campanella" sound easy), but again, the lyric movements set Tifonov apart; you will not be able to settle for listening to his performance of "Un sospiro" just once.
. . . a triumph. After the opening salvo of the "Etudes d'exécution transcendante", Trifonov attacks the A minor study with tremendous ferocity, so much so that on page 4 he had me scurrying to check the score. There are the left hand's clearly marked accents against the right hand's semiquaver octaves but which I could not recall anyone illuminating quite so clearly . . . This is unquestionably one of the great recorded performances of the "Transcendental Studies". The three sets of studies on CD2 are equally compelling, with Trifonov's eye for pointing up subtle details likely to appeal to Lisztian connoisseurs -- the left hand's rhythmic support in "Gnomenreigen", for example . . . Every decent record collection should have at least one version of all four sets of these studies. It is quite a feat for a single pianist to deliver what are, in effect, top-of-the-pile performances of almost all of the 23 separate titles -- but that is what Trifonov offers. Even if you have Berman, Cziffra and Berezovsky in the "Transcendentals", and Hamelin and Graffman in the "Paganini Studies", you will want to hear Trifonov, who also has the benefit of superior recorded sound (the piano is closely but not claustrophobically captured by Marcus Herzog, with the occasional pedal thump). Trifonov's is the best kind of virtuoso playing, where one is hardly aware of the notes being played, allowing one to simply bask in the genius of Liszt's musical narrative and the transcendant execution of an awesomely gifted pianist.
. . . [transcendence really is Trifonov's watchword] throughout this two-hour odyssey, and there are several absolutely magical moments where (to borrow a phrase from Liszt's son-in-law's "Parsifal") time becomes space . . . Trifonov's approach is an ideal palate-cleanser for anyone who's struggled with the density and overt virtuosity of this music . . . you hear every detail, every unexpected accent, every beautifully-sculpted melodic line . . . What's striking about this collection is the tangible absence of egoism in the playing . . . the focus is squarely on the breathtaking complexity of the music itself rather than the skill and mechanics involved in bringing it to life, and there are moments which genuinely seem to tap into that much-ballyhooed idea of "the Romantic Sublime". And the light and shade of the more lyrical studies (the three operatic etudes of S144, or the "easier" Transcendental Etudes "Paysage" and "Ricordanza") also come off beautifully . . . "'Transcendental" is no glib marketing strapline -- it's simply an accurate description of the quality of Trifonov's playing. Flamboyant, unbridled, Daniil Trifonov's new disc of Liszt has its fingers on the right pulse . . . . "Feux follets" flashes with brilliance. "Wilde Jagd" pushes at the limits of Liszt's furioso marking. Three more sets of studies here, including the "Grandes Études de Paganini", are multifarious, prodigious, dazzling. Throughout the set, Trifonov's technical mastery is such that his playing calls attention away from itself, relentlessly, and into the atmospheres and sound worlds of the pieces that, for a welcome change, make the album title seem more than a marketing ploy. This is transcendent playing, gratefully recorded in such true sound that you can enter it . . . the notes are so securely in his fingers that, unless you're actually watching him play, you quickly max out on how-did-he-do-that? fatigue and fall helplessly into the music's spell . . . With Trifonov's wizardry, the campanile bells in the almost overly familiar "La campanella" really do exist in their own, separate, distant, insistent space -- and rhythmic orb -- and their clanging resembles no other instrumental sound in more than two hours of playing that leaves nothing on the keyboard unexplored. There's exuberance of the highest kind in Trifonov's playing . . . The long, lithe arcs of rippling sound in the set-ending "Un sospiro" trace a torrent of feeling that's likely to leave you wet someplace or other. I had projectile tears the first time I heard it . . . We are not just in good but the best hands. Daniil Trifonov's approach is to search out through rounded and constantly beautiful piano tone the music's pre-Debussyian side . . . [thus] "Chasse neige" becomes a true tragic vision, haunting and unforgettable . . . "Feux follets" can't scintillate more than it does here. And that feeling of the music taking wing is then wonderfully unleased in the other sets of studies: "Un sospiro" and the fearsomely tricky "La campanella" are delivered with mesmerising precision and loveliness.
. . . ["Études d'exécution transcendante"]: In "Paysage" Trifonov achieves some exquisite pastel shades, delicately voicing the chords and evoking the peace and serenity of the countryside. "Mazeppa" showcases the pianist's dazzling octaves and scintillating scale runs . . . I love the sense of drama and the fire he injects . . . With non-intrusive tremolos, the cumulative build-up of sonorities in "Chasse-Neige" is compelling. Trifonov evokes an immense snowstorm, contouring the over-arching melody in expressive fashion . . . [Concert Etudes]: What struck me when listening to them was the care and detail he lavishes on each . . . [Grandes Études de Paganini]: Trifonov proves his mettle and tenacity in these virtuosically demanding pieces. Yet, it's not only pyrotechnical skill on display here; the Russian pianist's musicality and intellect stamp their mark on these virile readings. In No. 1 in G Minor "Tremolo", scales and arpeggios are cleanly articulated, and the tremolos have a luminous quality. No. 2 is elegant and subtly nuanced, with pearl-like scale runs to die for. I don't think I¿ve ever heard a tone so bell-like as Trifonov achieves in "La Campanella" . . . Siemensvilla, Berlin proves an ideal venue, conferring warmth and just the right amount of resonance on the piano sound . . . I couldn't imagine these works played any better. This is top-drawer playing in every respect. [Liszt / "Études d'exécution transcendante"]: Trifonov, a contemporary Wunderkind with an old soul, displays the detachment of a colourist, which suits the pieces perfectly. His technique is so polished as to be a mere means to an end, while his refusal to overdo Liszt's effects pays off . . . Trifonov leaves you wanting more. His No 5, "Feux Follets" (Wills o' the wisp) is full of light and shade, bringing Liszt's whirling vision to life. No 9, "Ricordanza" (Remembrance) is gently inward-looking but never mawkish . . . The Six "Paganini Studies" reveal the breadth of Trifonov's technique. In the best-known, No 3, La "Campanella", and in the taxing repetitions of No 4, "Arpeggio", Trifonov wears his stamina lightly. When he throws himself into the keyboard-wide climaxes of the variations of Paganini's famous A Minor theme in No 6, he stands alongside the greatest thundering virtuosos, yet ensures the music never descends into a wall of noise. This is superlative music making.
. . . Trifonov plays the part of the "Transcendental"-Liszt with alarming ease . . . Considering that Liszt's Études have the potential to put one's fingers in knots, Daniil Trifonov's rendition of the material is impressive . . . For the fifth movement, all of Trifonov's hammer strokes are frighteningly uniform. I genuinely don't know how people like him do this kind of thing.
. . . [the "Études d'exécution transcendante" are] a tremendously exciting journey, always articulate and brilliantly colorful . . . Trifonov can be very theatrical, allying telling silences with fierce attacks or dazzling fusées . . . where Trifonov remains unequalled is by the lightness and transparency of his textures, weaving these ultra-delicate but flexible tapestries of sound in notably "Paysage" and "Feux follets", as well as in the lyrical "Concert Études" "La Leggierezza" and "Il Sospiro" . . . In works often associated with virtuoso display, Trifonov provides rare subtlety and restraint.
. . . this is by a measurable distance the most distinguished piano recording of the year . . . ["Transcendental"] should be in any serious music-lover's collection.
. . . mightily impressive . . . [in his performance of "La Campanella"] Trifonov unleashes a demonic right hand . . .
Poetry and pyrotechnics are perfectly combined in Daniil Trifonov's five-star pianistic triumph . . . Trifonov, a contemporary "wunderkind" with an old soul, displays the detachment of a colourist, which suits the pieces perfectly. His technique is so polished as to be a mere means to an end, while his refusal to overdo Liszt's effects pays off. "Feux Follets" (Wills o'the wisp) is full of light and shade, "Ricordanza" (Remembrance) is gently inward-looking but never mawkish, while the formidable No 12, "Chasse-neige" (Snow-plow) graphically suggests a snowstorm without ever barnstorming. The Six "Paganini" Studies reveal the breadth of Trifonov's technique. When he throws himself into the keyboard-wide climaxes of the variations of Paganini's famous A Minor theme, he stands alongside the greatest thundering virtuosos, yet ensures the music never descends into a wall of noise. This is superlative music making. Trifonov's Rachmaninov recording was a highlight of 2015, and his extraordinary account of the Transcendental Studies, one of the greatest challenges in the piano repertoire, surpasses even that. Despite the sustained brilliance of the playing nothing is done for effect; the dazzling technique is entirely used to musical ends. These are the performances of a great musician, not of a showman.
. . . a perfectly regulated Steinway and a recording quality that has to be heard to be believed . . . [Trifonov tears] into the first two études with astonishing bravura . . . ["Paysage"]: [Trifonov takes us deep inside the music with a very slow] tempo. And here the quality of his instrument and the prowess of the DG engineers really comes into play. The clarity and richness of tone in the lower register is palpable. The slow tempo allows us to appreciate every chord change and marvel at the composer's command of color. Again, in another slow étude, No. 6 in g minor ("Vision"), Trifonov reveals all the mystery and sadness of this funeral march in the opening bars, then builds to an overwhelming climax. In étude No. 10 in f minor ("Allegro agitato molto"), Trifonov is stunning . . . DG and Trifonov have given us a second CD devoted to the rest of Liszt's études, some of his most famous among them. The last of the Three Concert Etudes, S. 144, "Un sospiro", may be the most renowned. Trifonov gives us a beautifully conceived interpretation, at once elegant and joyous . . . [in the "Paganini Etudes",] Trifonov's virtuosity is incredible, but one never gets the impression that he is showing off. Once again, he puts himself at the service of the composer -- and what a composer!
. . . [a superb achievement] by any means and can be recommended wholeheartedly . . . an irresistible joy of performing . . . [Trifonov traverses the Études with seemingly effortless ease and finds] a convincing balance between jaw-dropping virtuosity and inspired musicality, drawing attention to the lasting value of Liszt's oeuvre as the invention of the modern piano . . . His remains a tremendously exciting journey, always articulate and brilliantly colorful . . . [he] makes a very strong case for the underrated "Paganini Études", including a very refined rendition of "La Campanella", a marvelously handled "Arpeggio" and an eloquent "La Chasse" . . . [an utterly rewarding release, a new frontrunner in this repertoire that deserves] a place in every serious Liszt or piano collection. Daunting. Formidable. Punishing. A supreme test of a pianist's technique and stamina. Liszt's "Transcendental Études" are indeed all of these things. But the rare genius of Daniil Trifonov's recording of these works, released in 2016, lies in the ability of this 25-year-old Russian phenomenon to remind us that Liszt was not merely a composer of virtuoso showpieces but a musical poet of the highest order . . . Trifonov displays staggering technical mastery and structural command. But the special quality of his performances comes from his musical finesse: the kaleidoscopic array of colors he can conjure and his seemingly endless variety of articulation and phrasing. In his impish take on "Feux Follets" (Will-o'-the-wisp), he summons into being an entire world of fantastical creatures through his impossibly light and scampering touch. The sixth etude, "Vision", perhaps best encapsulates Trifonov's achievement. He treats the work as a study in shifting colors, emphasizing the contrasting textures of each strophe, from harplike passages to rich orchestral sonorities. Yet he also sustains an underlying sense of tension, revealing a deeper musical structure that evokes an ever-intensifying spiritual struggle. Let there be no doubt, though, that Trifonov can simply bring the thunder when called for . . . [Trifonov's most beautiful and moving playing] may come in what he has called the cycle's lyrical core. In "Paysage" (Scenery), he sustains a beguiling, trance-like lyricism, subtly tugging at phrases and gently, yet achingly, contrasting light and shade. "Ricordanza" (Remembrance) is all tenderness and vulnerability, fragmenting the usual melodic flow with impressionistic washes and dissolves of color. In "Harmonies du Soir" (Evening Harmonies), Liszt's beautiful E-major melody emerges magically out of an atmospheric haze and is later transformed with majestic grandeur. In the richness of his poetic imagination, as shown in these three etudes, Trifonov may be peerless today .
. . . Trifonov is every inch a master pianist. Blessed with a rare technical prowess, he complements his often phenomenal expertise with an interpretative flair that brings every bar of the "Transcendental Etudes" to scintillating life. He plays with complete awareness that lyricism is as much a part of Liszt's style as fierce, high-blown virtuosity . . . he alternates grandeur and introspection in "Harmonies du soir". "Feux Follets" is full of glistening sonority, intricate detailing and, for once, a regard for Liszt's allegretto marking . . . Trifonov's mournful retreat from elemental storms in "Chasse-Neige" (No 12) shows you that he is a pianist-composer at heart, such is the immediacy of his inventiveness. There is superhuman nimbleness in many of the other Etudes, with ultra-precise cascades of thirds at the climax of "La Leggierezza" . . . for a performance that ties everything together in the finest balance of pianistic skills, Trifonov is your man. Trifonov has an amazing technique and is equal to every one of Liszt's fiendish demands. He offers delicacy and refinement and makes a beautiful sound that is captured in a recording of the highest quality. The piano is smooth and natural, but very dynamic and articulate when it needs to be. The Russian pianist Daniil Trifonov creates a furor. The term is a familiar one in the annals of super-virtuosity . . . [Trifonov's playing] has beauty and power to spare . . . What sets Trifonov apart is a pair of attributes that are seldom found in one pianist: monstrous technique and lustrous tone. The characteristic Trifonov effect is a rapid, glistening flurry of notes that hardly seems to involve the mechanical action of hammers and strings . . . The "Transcendental Études" contain some of the most taxing piano writing ever put on paper . . . Trifonov dispatches all of it with stupefying effortlessness, in the process transforming this ostensibly bravura music into something elegant and rarefied . . . Trifonov's entry will long be a benchmark . . . In addition to possessing staggeringly accurate and flexible fingers, the 25-year-old pianist commands a wide palette of nuance and tone color, and is quite fond of milking inner voices and shaping fanciful phrases. These characteristics often lend an effortless tone to his interpretations of Liszt's "Transcendental Etudes" . . . Trifonov rips through the opening "Preludio" with galvanic nonchalance, while the pianist's multi-layered touch justifies "Paysage's" deliberate pace and tempo variations. "Mazeppa" can often sound clattery and upholstered, yet Trifonov's assured bravura conveys welcome lightness and transparency . . . in "Wilde Jagd", I am struck by Trifonov's gorgeous floating of the second theme over the bar lines, with minimum help from the sustain pedal . . . Trifonov sails through the "Paganini Etudes" with brio and aplomb (especially in "La Campanella"'s darting leaps) . . . [in "La Leggierezza" Trifonov provides] feathery passagework and curvaceous phrasing . . . And Trifonov's canny pacing and handling of dynamics make the discursive and overly long "Il Lamento" sound like a veritable masterpiece. In sum, there is no disputing Trifonov's prodigious keyboard talent and inborn affinity for Liszt . . .
. . . exceptional . . . [it's Trifonov's] "Transcendental Etudes", where execution, imagination and musical understanding are in a quite unique class . . . almost beyond belief and lifting the pieces themselves to an extraordinary level. Excellent sound too . . .
. . . [a] truly transcendental recital . 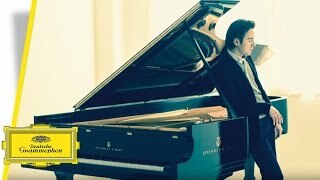 . .
Great recordings of Liszt's "Transcendental Etudes" come along very rarely, and this new one from Daniil Trifonov is so magnificent that it may eclipse everyone who has come before . . . His reading of each etude is technically stupendous but also sensitively musical . . . Trifonov is astonishing in his ability to find music everywhere, merging emotion and technique seamlessly . . . In barn-burners like "Mazeppa" he's, yes, jaw-dropping, awesome, and thrilling, but beyond virtuosic display, Trifonov's lightness of touch in rapid passagework creates an extra dimension of musicality. In an etude devoted to fleet fingers like "Feux folles" . . . [Trifonov] rises to the challenge of imaginative phrasing, with quick darts of surprise and wit . . . [in "Harmonies du soir"] Trifonov takes the rumbling bass line, rippling arpeggios, and double octaves with marvelous ease, making us hear pure music. He's aided by rich, lifelike sound . . . [in "Chasse-neige"] Trifonov is superb at the grand spectacle . . . it's impossible to miss the astounding ease with which he handles the constantly turbulent left hand . . . [Trifonov's versions of other Liszt Etudes also included on this disc] rise to an exalted level, with a particularly moving "Un sospiro" and breathtakingly light "Gnomenreigen" . . . this pianist has unbounded horizons before him, and it's a joy to be taken along on his journey.
. . . [Trifonov recorded the Études] all in one go, in an unbelievable five days . . . phenomenal technique . . . an intense, soulful musician in the great Russian tradition . . . [his] presentation and repertoire set him apart from all other young piano stars of today. Trifonov's Rachmaninov Variations had some of the loveliest piano sounds ever recorded . . . this new Liszt set is even more exceptional . . . [it's in the "Transcendental Études"] where execution, imagination and musical understanding are in a quite unique class . . . almost beyond belief and lifting the pieces themselves to an extraordinary level. Excellent sound too . . . There will never be a definitive version of Liszt's "Transcendental Études", but Trifonov's spectacular rendition devastates the competition, in my view, since he never bangs, finds real music in every Étude, and displays unbelievable dexterity in soft passagework. Auf Transcendental modelliert und manipuliert er (Trifonov) zugleich die Lisztschen Konzertetüden, er scheint das ganz nüchtern zu tun, eine Virtuosität ohne Dämonentum versprühend. Das alles ist so frei von Hemdsärmeligkeit gespielt - es müsste auch Liszt-Skeptiker begeistern. Der neue Stern am Klavierhimmel heißt Daniil Trifonov . . . neben all seiner pianistischen Bravour, die scheinbar keine Grenzen kennt, macht auch die Reife seines Spiels staunen . . . [Trifonov] gelingt das Meisterstück, die enormen spieltechnischen Anforderungen als Mittel zu gebrauchen, um das Avantgardistische, weit in die Zukunft Weisende dieser Musik hörbar zu machen. Grandios! Niemand kann am Klavier so glitzern, funkeln wie er, schnurrend und mit einer Leichtigkeit, dass man die technischen Tücken dahinter allenfalls erahnen kann. Daniil Trifonov zählt zu den wenigen Pianisten, bei denen der Hype um seine Person mit seinen musikalischen Qualitäten Schritt hält. Das zeigt er auch bei seinem neuen Liszt-Album . . . ["La campanella"]: wie er am Anfang die Diskant-Töne nebelhaft weisslich in die Tasten setzt, wie er die nachfolgenden Tonrepetitionen mühelos perlt und wie er das Stück immer mehr mit Nervosität und Dramatik anreichert, das ist grossartig. Das Irrlichtern in "Feux follets" und die Kühnheit in "Mazeppa" stehen dem in nichts nach. Trifonov bietet nicht pianistisches Blendwerk, sondern tiefe gedankliche Durchdringung . . . Trifonovs Ausdruckspalette reicht von meditativer Versenkung bis zu ungebremstem Feuereifer -- doch immer bleibt sein Vortrag geprägt von grösster Klarheit.
. . . [in seiner Einspielung der Konzertetüden findet Trifonov] den Poeten im pianistischen Hexenmeister . . .
Un Liszt transcendant . . . Trifonov s'impose comme l'un des très grands pianistes d'aujourd'hui. En témoigne ce disque éblouissant . . . C'est exactement ce que réussit Daniil Trifonov . . . le pianiste russe gagne en puissance sans perdre son originalité! Il joue comme s'il s'appropriait l'oeuvre, se libérant du carcan purement technique. Il pense autant en compositeur (ce qu'il est) qu'en interprète. Il n'a alors nul besoin de forcer ses doigts ni de paraitre pour dominer. Son piano n'est jamais cassant ni massif. Il scintille comme dans "Feux Follet" et "Chasse Neige". Plus encore, il sait distraire avec intelligence sans écraser le son avec une main gauche d'une fantastique sûreté, souple et précise à la fois. Null fioriture, pas de tempos improbables ni d'outrances, mais un piano équilibré et plus encore, élégant . . . [les très grandes versions des "Études d'exécution transcendante",] confirme sa place parmi les maitres d'aujourd'hui. On passerait sur l'inévitable évocation de sa fantastique virtuosité si elle ne ciselait la musique avec autant d'intelligence et une inventivité transcendante. Fluidité de source, science alchimique des équilibres, absence d'enchère expressive ou d'extraversion, sont au service d'un singulier assemblage d'enfance mutine et de gravité. Le Liszt de Daniil Trifonov allie puissance et charme, mystère et légèreté, joué dans un triomphe du jeu, l'euphorie d'une quasi-improvisation, vertige de son, plaisir des couleurs, du silence même.
. . . la puissance de son sommet expressif ébranle . . . Le virtuose russe trouve la respiration des pages apaisées ou lentes: manière très étudiée de poser les aigus dans les premières secondes de "Paysage, Vision" d'un ton mystérieux et prenant . . . "Ricordanza" n'est que raffinement poétique . . . "La leggierezza" devient pur cristal. Dans les "Paganini", le fini sonore d'Octave, parcouru avec une gourmandise évidente, stupéfie. "La Campanella" fait l'effet d'une boite à musique gracieuse qui en viendrait à prendre feu . . . [on savoure de sublimes doubles glissandos et un Tema con variazioni] emporté dans un souffle ardent. Du grand piano lisztien qui maintient constamment l'intérêt . . .
Pour un exploit, c'en est un! Le jeune prodige russe, Daniil Trifonov [s'empare et dompte une des oeuvres les plus difficiles de toute la littérature pianistique] . . . remarquable . . . Sans nul doute, Daniil Trifonov devient, grâce à ce disque, l'un des plus précieux ambassadeurs de la musique de piano de Franz Liszt . . .
. . . avec un tel palmarès, le jeune pianiste ait rapidement été lancé sur l'avant-scène planétaire, avec sa technique polie comme du diamant, sa musicalité à la russe, exaltée et puissante. Le répertoire transcendant de Liszt lui va comme un gant.
. . . [Liszt / "Études d'exécution transcendante"]: [d'emblée, le jeune Daniil Trifonov] affirme une magnifique tempérament, maîtrisé, cohérent, et déjà d'une somptueuse éloquence poétique. Ampleur et souffle comme implication directe et vision souvent millimétrée, intérieure, le jeu du jeune pianiste russe répond à nos attentes s'agissant d'un cycle de qui dépasse sa réputation exclusivement technicienne. Il faut y déployer une dose mesurée de sentiment pour réussir dans sa totalité sa formidable évolution, entre avatars et résonances, depuis son début jusqu'au terme de la 12ème Études. A 25 ans, le pianiste réussit un parcours sans fautes . . . chaque séquence est investie et incarnée avec une habileté sobre, un engagement d'une honnêteté admirable, et d'une certaine facon, au regard du jeune âge de l'interprète, d'une cohérence et d'une franchise surprenante . . . Daniil Trifonov est comme un lutin facétieux et diversement suggestif. En dévoilant l'intériorité et la richesse poétique sous les cascades virtuoses des notes emperlées, le jeune pianiste nous touche infiniment. Transcendental is the new solo release by piano sensation Daniil Trifonov.